This is how you can grow your own artichokes and get them to seed so you can produce you own from home grown seeds. You can start from starts or seeds, but it is obvious that you need to buy them before you can produce your own! Patience is very important as it can take an artichoke up to two years before it will produce it's first bulb! At this point you are no doubt going to want to eat some so plant twice as many as you think you should. If you are starting from bought seed (the easiest way) sow seeds one inch deep, spaced 5-6 inches apart in full sun. Rows should be spaced 5-6 feet apart. Thin plants to two 2/12 feet apart. Make sure this is a 'quiet' low traffic part of the bed as they will be there for quite some time. Slugs really like the seedlings so keep a close eye one them, a great trick I like to use is to place a copper strip around the bed as slugs will NOT cross copper. 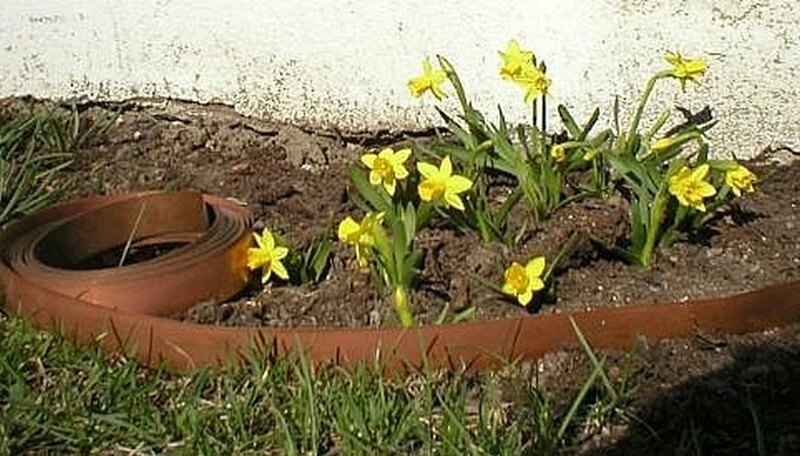 Just make sure nothing leans over it and no dirt covers it when you are watering because they will make their way in! The growth time is 90-100 days, but you will not see a bulb or flower the first year, once it does grow the bulbs you can harvest some for yourself and let the rest 'go to seed'. The flowers are very attractive. They are related to thistles which are also edible. When you cook an artichoke, there is fuzzy stuff inside that you have to scrape off the heart before eating it. That 'fuzzy stuff' is a huge mass of seeds. 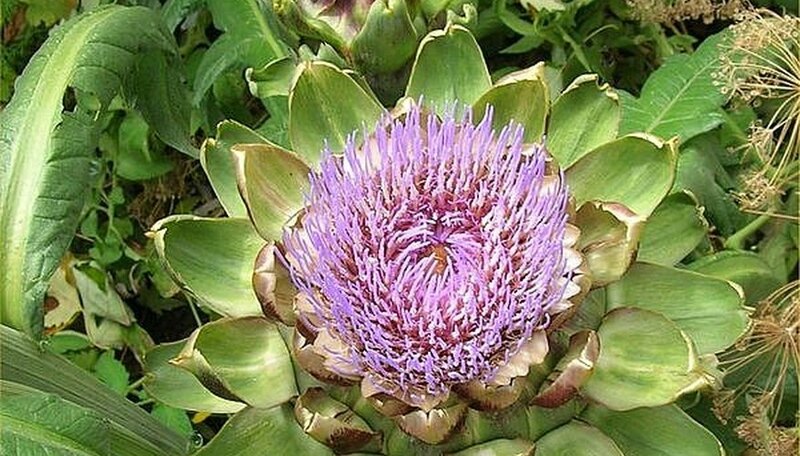 If the artichoke is not picked when it is ready to eat, the petals (which we usually think of as 'leaves') open. The 'fuzzy stuff' grows, becomes purple, and makes a beautiful display. The petals fall off, and there is that glorious purple soft-looking mass of seeds! After a week or so, the seeds dry, and blow away in the wind. The best way to save the seeds is to take an extra large sized knee high nylon and carefully place it over the flower when it starts to look dry. This can be a tricky time but well worth daily checking as this way you will lose none of them! Starter artichokes or seeds to start. Artichokes like a lot of space so don't crowd them! 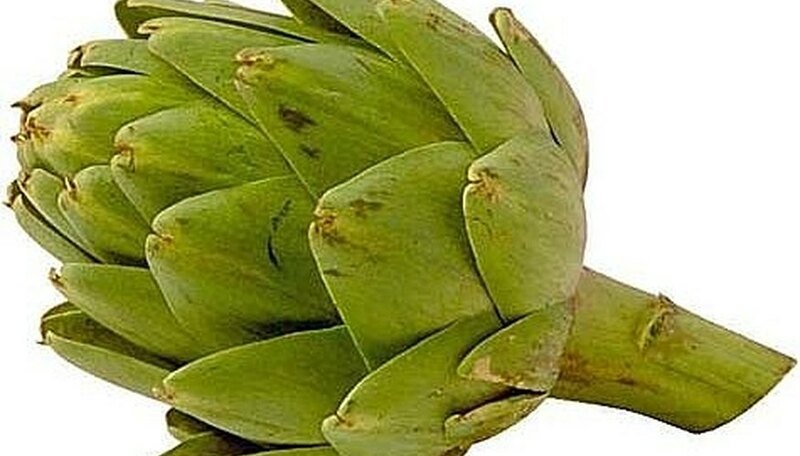 Artichokes need to be grown and harvested quickly for best results. You will need a high quality compost and well rotted manure in generous amounts each season. Sand and organic material should be worked into a soil that is "heavy." 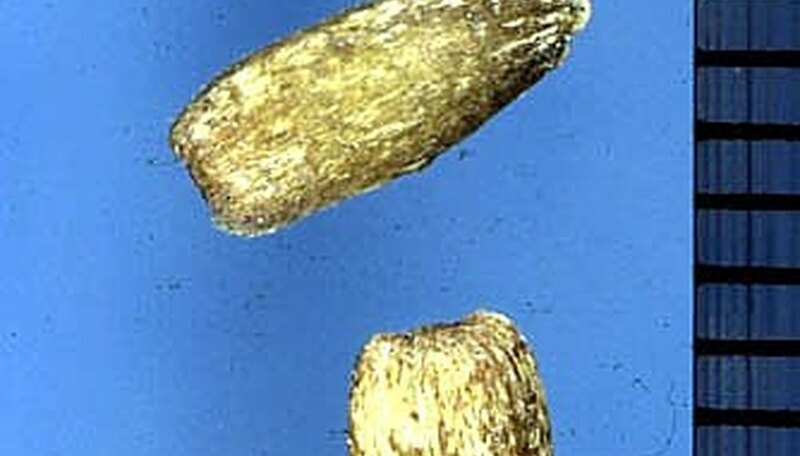 Well-drained soil is significant for good production. 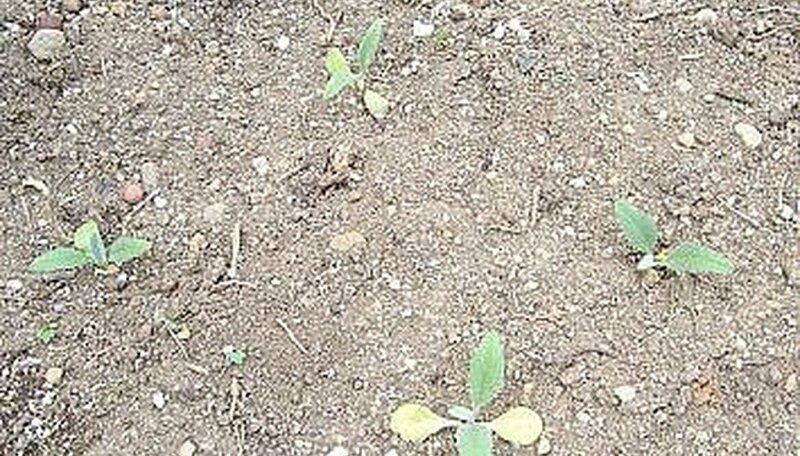 On a monthly basis side dress each plant with a high nitrogen fertilizer.